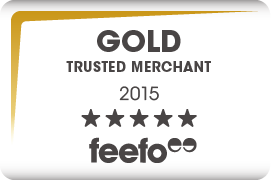 The CaminoWays.com team is delighted to announce we have been awarded 2015 Gold Trusted Merchant status by Feefo, the trusted independent ratings and reviews website. Last year we received the Feefo Trusted Merchant certificate, awarded to companies with up to 94% positive feedback from customers which was a wonderful achievement. This year, we have achieved an even higher 95% positive feedback from our customers and the coveted Gold Trusted Merchant status, which is the top recognition we could get. We owe this fantastic result to you, our dear customers who have travelled with us in the past year and taken the time to share your travel feedback on our Feefo page. To all of you, a sincere thank you from all the CaminoWays.com team! Roland is the founder and director of CaminoWays.com. Originally from France, he has many years of experience organising adventure holidays and globe-trotting. 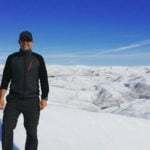 His quest to hike in as many countries as possible continues, so far he has walked the Camino and the Via Francigena; climbed Kilimanjaro; hiked in Nepal, New Zealand and Japan; led mountaineering groups in South America... among many other adventures.